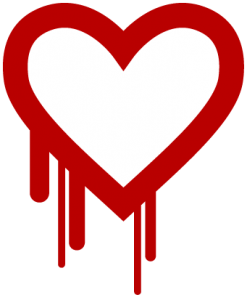 Our sites at cliffdutton.com were never at any risk of the Heartbleed bug. This is because none of them are using openSSL. On the other hand our server does provide SSL email but this is not the same as openSSL so was not a vulnerability. Consider this is a wake up call on our security and it reminds us to change our passwords frequently. A patch has been issued for the vulnerability and has been implemented on our server and one would imagine any server that is concerned with security like banks and credit cards. This means they have probably also corrected the problem. Now it is up to account holders to change their passwords just to be on the safe side.